A healthy mouth starts with having good a dental routine. Part of a good dental routine is making sure you change your toothbrush every three months because believe it or not, using an old toothbrush can negatively affect your oral health. 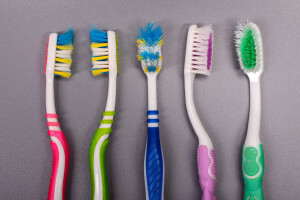 From causing sickness to damaging your gums, an old toothbrush could be your mouth’s downfall. Your toothbrush is constantly exposed to water and the bacteria that is found in your mouth. It makes sense then that bacteria are transferred onto your toothbrush and establish colonies thanks to the wet environment, which allows the bacteria to thrive. With bacteria living on your brush, it can be continually transferred back to your mouth instead of being rinsed out each night. 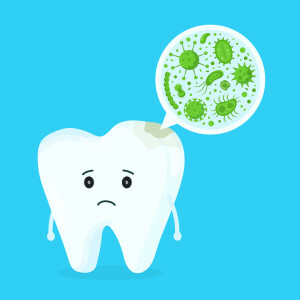 Reintroducing bacteria into your mouth on a daily basis can cause damage to your teeth and oral health by causing infections or tooth decay. Replacing your toothbrush every three months can help ensure you are not introducing harmful bacteria into your mouth on a regular basis. Using your toothbrush twice a day for three months can quickly wear down its bristles. A frayed toothbrush cannot stand up to the cleaning power of a new brush because its bristles aren’t as sturdy. When the bristles of a toothbrush wear down, they cannot reach into crevices as well to clean the bacteria and plaque off of your teeth. It’s best to keep a toothbrush that is in good condition so you clean your teeth as effectively as possible. Three months is longer than you may think. In that time, several sicknesses can come and go. 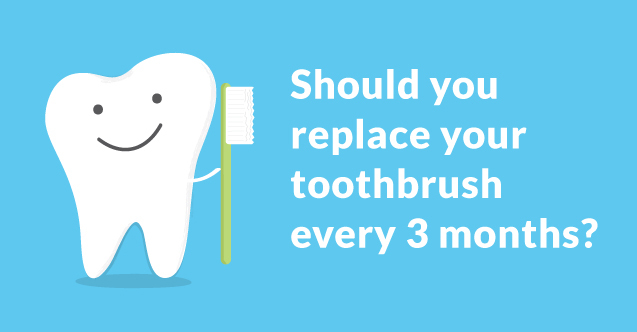 While it is best to dispose of your toothbrush right after you recover from an illness, taking the extra precaution of disposing of your toothbrush every three months can help ensure you stay healthy. Bacteria and viruses can live for variable amounts of time including a few hours to several months according to National Health Services. To keep yourself from reintroducing viruses and illnesses into your body, replace your toothbrush on a regular basis. As we use our toothbrushes, the bristles become unlevel and irregularly shaped. The factory-smoothed, plastic bristles become jagged and sharp with use. While we may not realize it, sharp plastic bristles can be damaging to our gums and enamel as we scrape them across our teeth on a daily basis. The result of using old toothbrushes with uneven bristles could be a receding gum line or damaged enamel. Switching your toothbrush every three months is a good way to help keep your gums healthy and your enamel strong. As you look at your frayed and discolored toothbrush, remember that you could be doing yourself and an injustice by not replacing it. Be sure to write new toothbrushes on your grocery list and keep a schedule for replacing your toothbrush. Your smile and your dentist will thank you for replacing your toothbrush on a regular basis.